Tonight the Art with Heart Team are sharing creative projects featuring products from the last chance products list. 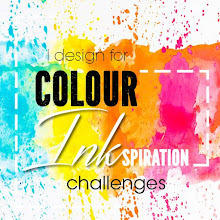 There is a lot of products to choose from with retiring stamp sets, ink pads and ink refills guaranteed to be available until 7 May (and all other products while supplies last). 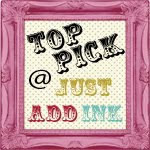 Contact anyone on the blog hop to place your last chance order today. One of the products in the Occasions Catalogue I have loved is the Painted with Love Specialty Designer Series Paper and as it is a thicker weight it makes beautiful 3d items - BOXES. 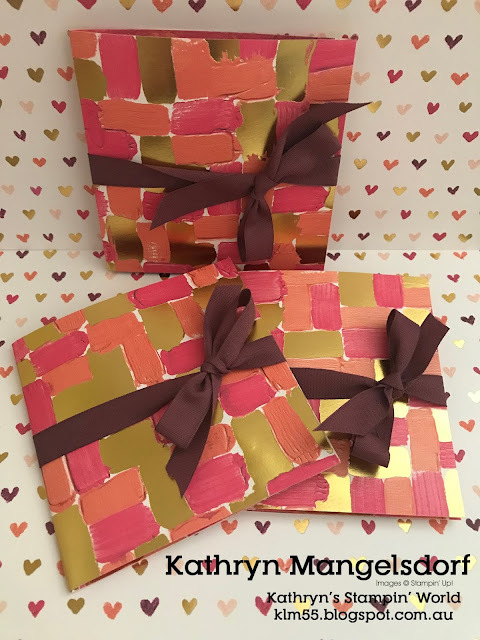 I made these gifts for fellow Stampin' Up! Demonstrators that attended OnStage in Sydney. I will really miss the colourful, sophisticated designs with gold foil ascents of this SDSP. Inside the box, a handmade candle. 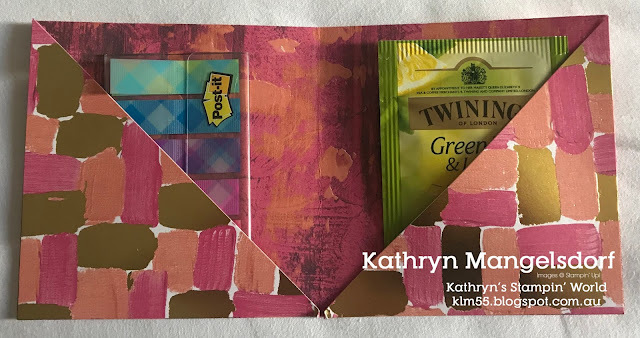 Three Wallets that hold Post It Notes for your new Annual Catalogues and a Tea Bag. Now it's time to hop on over to our next participant, the very talented, Catherine Proctor. 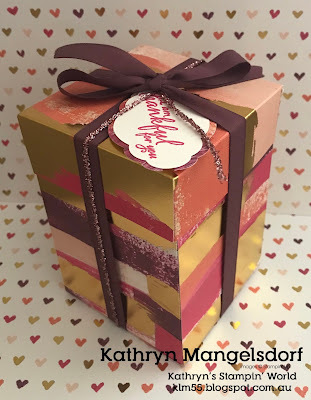 Beautiful projects made with beautiful paper, Kathryn. 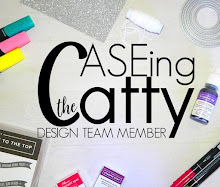 Kathryn, isn't this card stock one of the prettiest we have had with its gold accents?! I adore it and will certainly miss it too. What wonderful projects you have showcased, beautiful. Kathryn I really love your 3D projects! Your projects are so beautiful. SUch a fun way to use the DSP. 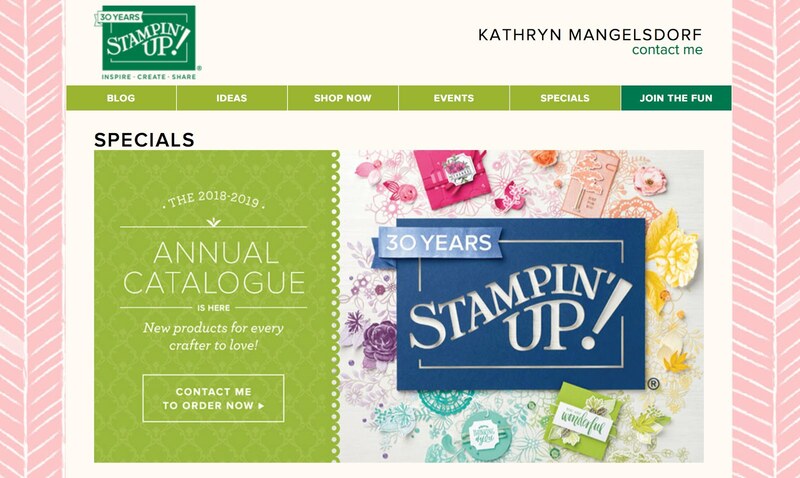 Love your off-the-page projects, Kathryn. 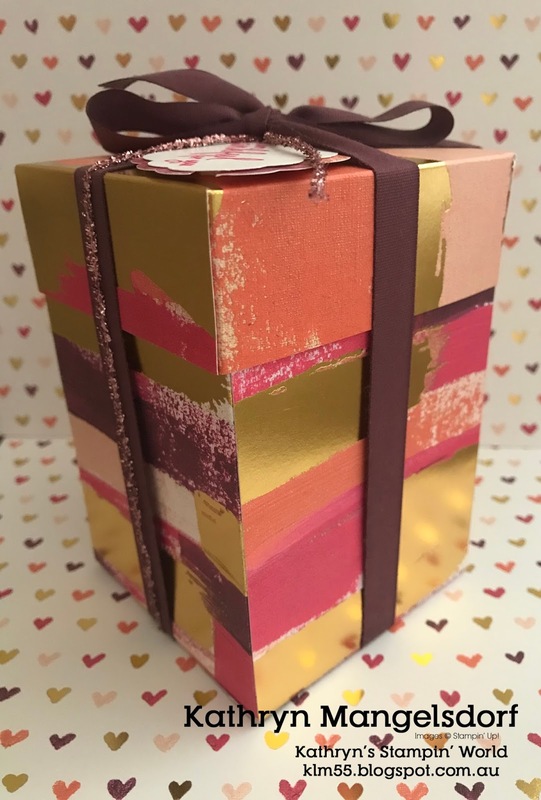 The Painted with Love DSP makes such a bold statement with all the gold goodness. 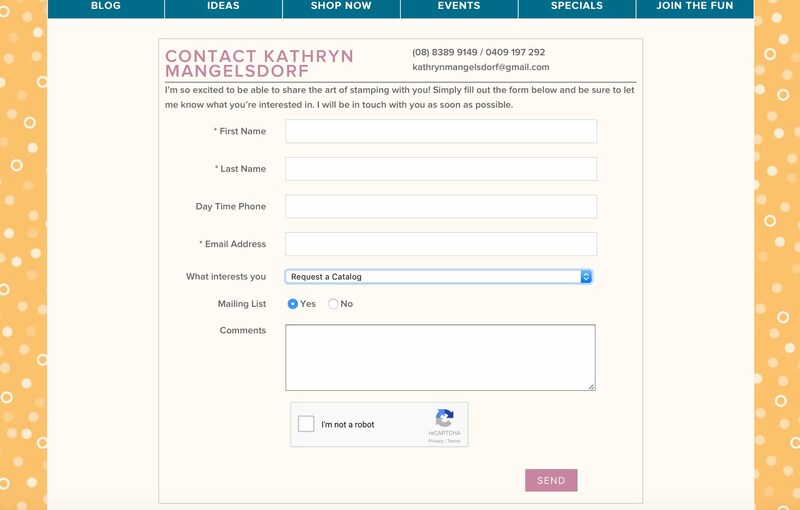 This is such gorgeous DSP Kathryn and you have made such wonderful projects with it. Lovely 3D projects. 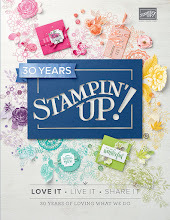 Thanks for taking part in the retiring products blog hop. 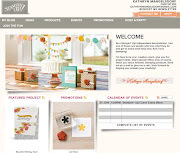 Lovely projects Kathryn, made with one of my favourite DSP's too! Kathryn, these works are simply eye-catchingly beautiful! Now I wish I had bought those DSP lol! Wow!! 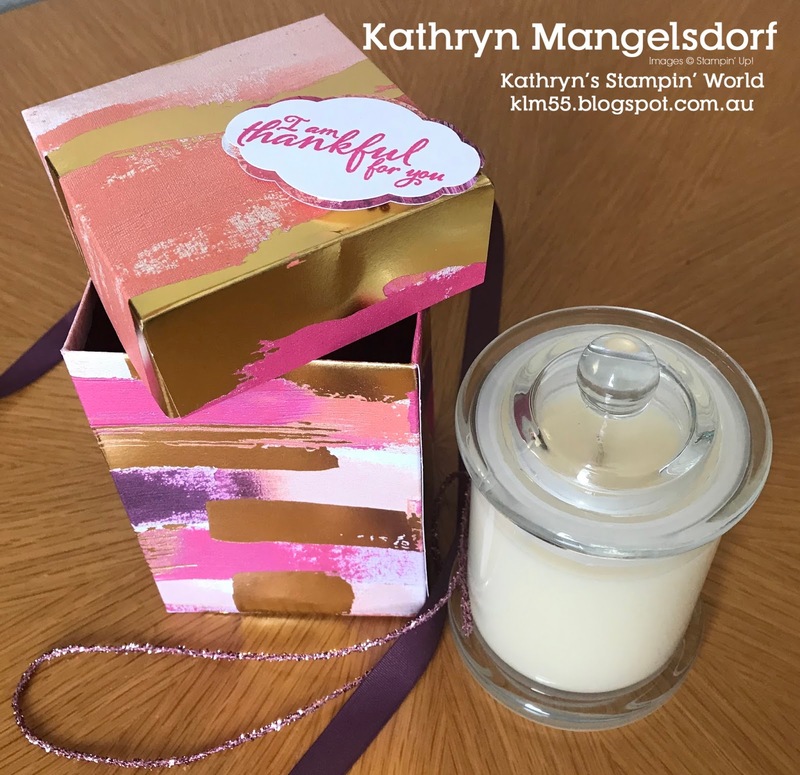 Kathryn, I love your projects, what a beautiful box set with the candle and I adore your tea bag and post it notes envelope just gorgeous. I'm stocking up on this paper its my favourite.